By now, you’ve surely heard about the pathetic, anti-Islam video, “The Innocence of Muslims,” which reportedly lead to the death of a U.S. ambassador and three members of his staff last Wednesday, and has since sparked violent protests throughout much of the Muslim world. The situation is a ghastly catastrophe on all fronts, sparked by the most disastrous viral video in the Web’s short history. While the “Innocence” fiasco unearths a slew of human and political problems, the issues of censorship and free speech in an age of global connectivity may be the most pressing for the average Web user. In today’s hyper-connected world where barriers between countries seem more permeable than ever, Google increasingly plays gatekeeper to what you should and shouldn’t see. Soon after the attack in Libya, YouTube made the 14-minute video “temporarily unavailable” to users in Egypt and Libya. (The governments of both Afghanistan and, as of Monday, Pakistan have blocked access to YouTube altogether). YouTube later blocked the video in India and Indonesia, on grounds that it violates those countries’ laws. These instances of censorship were followed by a request from the White House for Google (YouTube’s parent company) to review the video, just to make sure it didn’t violate the site’s terms of service — presumably as a last-ditch attempt to have the video pulled from YouTube entirely, no matter the country. Despite YouTube Community Guidelines‘ prohibition of any video that includes “speech which attacks or demeans a group based on race or ethnic origin, religion, disability, gender, age, veteran status, and sexual orientation/gender identity,” Google said no. “The Innocence of Muslims” remains online. Riots continue to spread. Civil liberty advocacy groups like the Electronic Frontier Foundation (EFF) and the American Civil Liberties Union (ACLU) have condemned Google’s decision to censor “The Innocence of Muslims” — a despicable attempt at filmmaking that depicts the the Prophet Mohammed as a philanderer, a hypocrite, a sham, and a supporter of child abuse — even in a limited capacity. 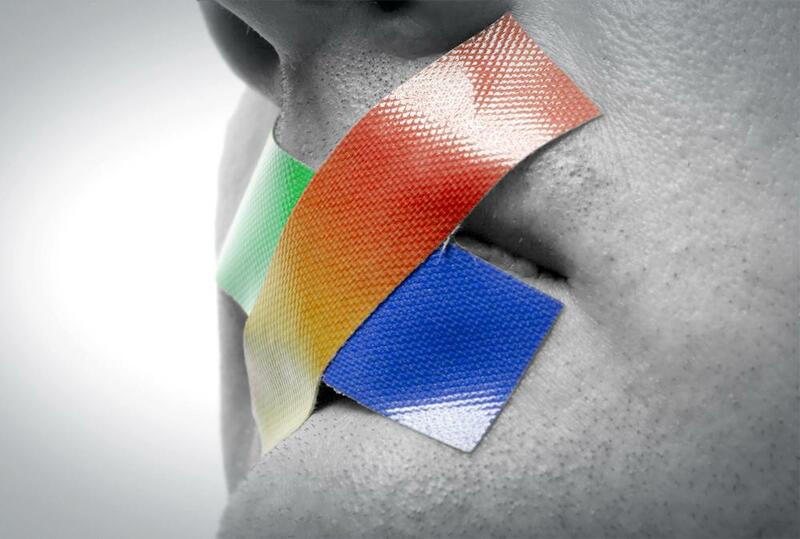 “At a time when Google should have stuck by its own policies and commitment to freedom of expression, the company caved — and the potential for far-reaching consequences remains to be seen,” wrote Eva Galperin, International Freedom of Expression Coordinator for the EFF, in a recent op-ed for TechCrunch. It is easy to agree with Galperin on the principle of free speech — a sacred right for Americans that lies at the heart of the knotty complications surrounding “The Innocence of Muslims.” It is also easy to understand why Google would risk blocking the video in parts of the world where reaction has resulted in violence and mayhem — regions where free speech has a different definition than it does in the U.S. Google is, after all, a private company, and therefore can pick and choose which speech it wants to make available — a power the U.S. government has in a very limited capacity, thanks to the First Amendment. It is Google’s power that should give us pause. Through the popularity and near-ubiquity of its search in the Western world, Google has become a gatekeeper of the Internet. Speech available online (the only kind of speech that matters much these days) can suffocate under an impossible avalanche of better-ranked search results. Conversely, a ridiculous video that appears on YouTube can cause an international incident that threatens the national security of multiple nations. We are all at Google’s mercy, for better or worse. Google’s power to expand or restrict the reach of certain speech makes criticisms like Galperin’s of the utmost importance for our increasingly connected world. While slippery slope arguments may be easy to dismiss — especially when people’s lives are on the line at this very moment — we ignore potential consequences at our peril.